Quantum Computers has been a buzzword lately. 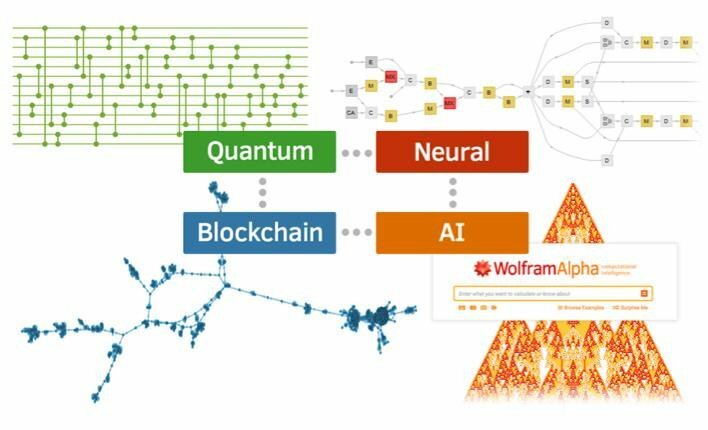 Stephen Wolfram, founder of Wolfram Alpha and Mathematica believes that it is one of the 4 biggest revolutions coming up in technology. This article marks the beginning of a journal series on my experiences learning Quantum Programming. I use the term Quantum programming and not usual terms Quantum Computation or Quantum Information to emphasize that I intend to write efficient algorithms/programmes for Quantum Computers. And not worry much about building one, there is a lot of talent invested here already. Rephrasing the first sentence from any description of Quantum computation: A qubit (fundamental unit/block of quantum information) can exist as a superposition of 1 and 0 states:, unlike a bit (fundamental unit of classical information) which can exist either as 1 or 0. Harnessing the power of this superposition and entanglement1 makes Quantum information special. Silicon Valley giants like IBM, Google, Intel and Microsoft believe that this can allow us to perform tasks impossible with classical computers and banking billions on it. And as always, there are a few mathematicians who believe that our inability to handle the error in quantum world will limit our ability to harness this power. Anyway, I hope to see Quantum computers revolutionalising the fields of cryptography, scientific simulations and Artificial Intelligence. And most importantly, develop tools which sharpen our intuition about Quantum mechanics and make its predictions more transparent to human minds cause it has always been hard. At the time of writing this article, there are no powerful commercial Quantum computers. But, IBM Q Experience lets anyone run algorithms on real quantum computing hardware, and this going to be my school+lab! There are games, Machine Learning and other interesting programs written for it already, but I prefer doing some reading before I get my hands dirty. I am going to primarily study from Nielsen and Chuang’s book and MOOC Quantum Information Science series from MIT-edx over the next few weeks. I will occasionally read John Preskill’s lecture notes and any arXiv paper that comes my way. r/QuantumComputing, r/QuantumInformation: Biggest communities sharing all the news in the field. r/MikeAndIke: A subreddit dedicated to learning about quantum computing from Nielsen and Chuang’s book. Quantum Computing - Stack Exchange: Should need no explanation. Stay tuned to find interesting Quantum puns!